The Environmental Protection Agency’s latest report on greenhouse gas emissions demonstrates shrewd political strategy — and a wanton disregard for objective science. Using a new methodology that seems to have been designed to produce exactly the conclusion it did, the EPA has now found that the nation’s methane emissions have been dramatically higher in recent years than previously thought. And for the EPA, this is a story with a villain: In a major departure from earlier studies, this year’s report claims the oil and gas industry is the nation’s chief methane culprit. Green activists were quick to trumpet the new findings as proof that the oil and gas industry is behind all of our environmental ills. Never mind the undisputed evidence that oil and gas companies — including those right here in Alabama — have actually been helping drive the nation’s recent historic reductions in greenhouse gas emissions. Rather than supporting an American energy model that continues to drive down emissions, regulators prefer the political convenience of pointing the finger at Big Oil. There are a number of reasons to be skeptical of the EPA’s new data. First, years of government research show that methane emissions from the oil and gas industries have actually been falling. 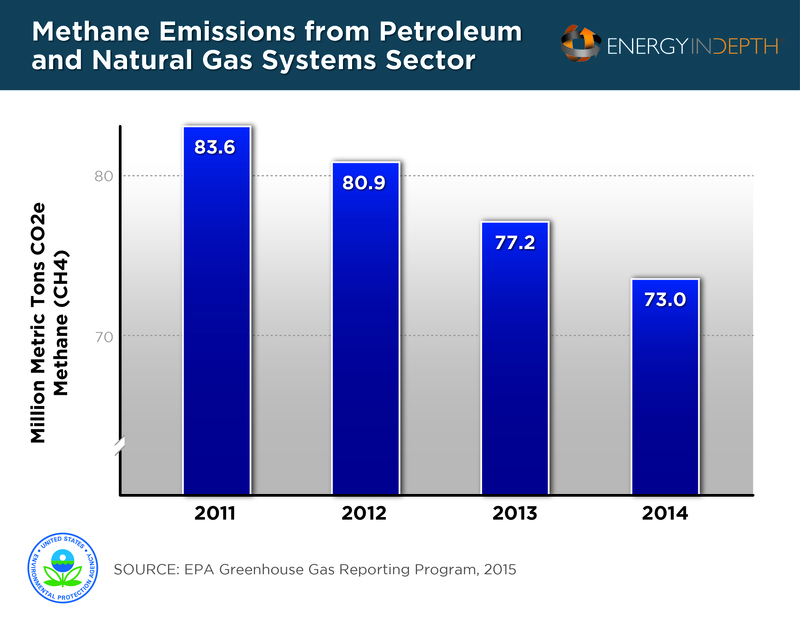 According to last year’s report from the EPA, methane pollution from natural gas dropped by nearly 11 percent from 2005 to 2013. The new study, by contrast, shows a decline of less than 1 percent during that period. That statistic is mysterious considering that the energy sector has taken many steps to reduce emissions. Aaron Oil in Mobile, for example, filters fuels and oils that have been contaminated so they can be reused at maximum performance with fewer emissions. Meanwhile, Birmingham’s Alabama Power has embraced technology that produces electricity more efficiently, reducing overall emissions. Nationwide, since 2000, oil and gas companies have invested roughly $90 billion in technologies designed to slash harmful pollutants. It’s also impossible to ignore the political ammunition these updated estimates provide for the Obama administration. The EPA recently issued new methane regulations to significantly cut methane pollution in the oil and gas sector. The revised findings will help justify these standards. Regulations of this type are certain to raise the cost of everything from heating oil to gasoline, which makes them politically tricky. By crowning the oil and gas industry as the top emitters of methane, the EPA has manufactured precisely the scapegoat it needs. At the same time, the report deflects attention from last year’s leader in methane emissions: animals like cattle, sheep, and swine. The 2015 EPA report found that the American livestock population has produced more methane pollution than the natural gas industry every year since at least 2009. For the Obama administration, it’s always about finding a villain, rather than a solution. A regulatory crackdown aimed at the agricultural industry — or steak-lovers, for that matter — is a political non-starter. From the EPA’s perspective, better to focus the blame on the oil and gas industry. But by putting politics before science, the EPA is attacking a vital component of Alabama’s economy. The state’s oil and gas sector supports over 100,000 jobs that pay an average $64,000 per year — over $20,000 more than the average salary statewide. And, the industry generates more than six percent of Alabama’s economic activity, bringing in $11.3 billion annually. What’s more, the EPA is missing an opportunity to substantially reduce emissions. The shale energy boom has led to an abundance of low-cost natural gas — an energy source that emits roughly half the CO2 of coal. As domestic power-generation has moved towards this cleaner fuel in recent years, America’s emissions have fallen to nearly 20-year lows. If environmental regulators are genuinely interested in cutting global emissions, then they should abandon their attempts to undermine one of the few industries making progress on this front. The EPA should work instead to spread this pollution-cutting energy model to other nations. Consider exports of liquefied natural gas. At a time when America has become the global leader in natural gas production, Western Europe remains dependent on Russia for their gas. Expanding our natural gas exports would provide our allies with a more reliable supply of a fuel. That environmentalists are unlikely to support such a policy is telling. As the new EPA report makes clear, the green movement is more interested in smearing the oil and gas industry than in acknowledging the facts — and protecting Alabama’s thriving energy sector.